LEXINGTON, Ky. (Jan. 9, 2019) — What will $223,918 buy? At the University of Kentucky, it buys a future for scores of young people. During the 2017-18 academic year alone, 179 UK students received a scholarship from the UK Alumni Association. 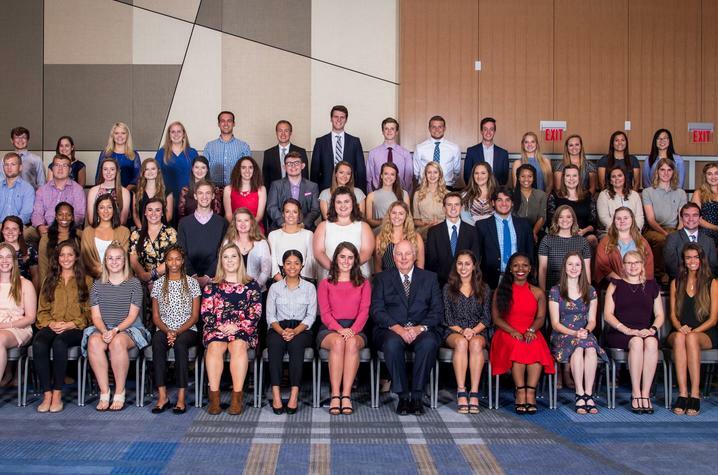 During this recent fall semester, 100 UK students benefited from scholarships granted by individual local clubs all across the country. For some of those UK students, their tuition will be paid. Others will be able to sleep in safe housing or enjoy regular, healthy meals because of those scholarships. Others can buy all the books their professors require of them. Each and every scholarship funded by the Alumni Association, alumni clubs or individual alumni and friends of the university is transformed into a young person’s education today and a career tomorrow that will someday support families in the future. That dedication of Wildcat alumni to the current student body is not lost on a single scholarship recipient. The alumni who work hard to fund those scholarships — sometimes, a single dollar bill at a time — are buying a future for a stranger. The club’s newest fundraising strategy has been particularly successful. The club made arrangements with a local bourbon distillery to produce a limited edition run with a percentage of sales going directly into its scholarship fund. 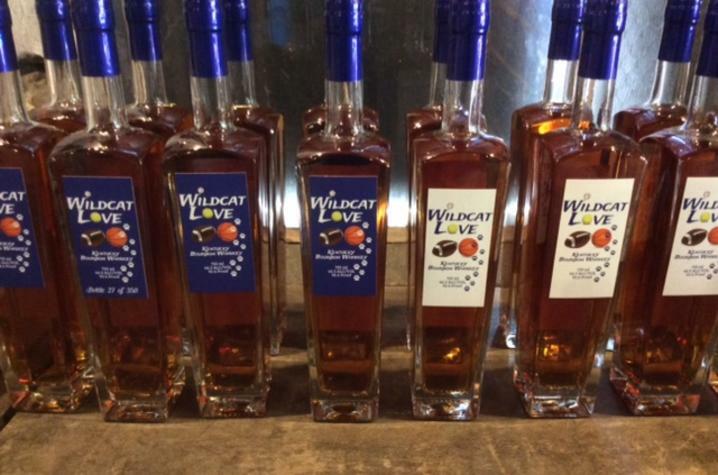 They dubbed it “Wildcat Love” Bourbon, and it quickly became a commemorative piece as the fall 2018 semester began, when fans noticed the bottle’s label predicted UK would break the football team’s losing streak against Florida this season. Sales skyrocketed! The restaurant’s program “has been a wonderful partnership and a steady source of scholarship funding for many years. Anything we can do to help our students succeed, whether through a scholarship or as an information resource, is a good opportunity to serve the future generation,” said Nicole Blackwelder, president of the Jacksonville club. Chip Halfhill in McCracken County, Kentucky, said his club members feel they are simply “doing their job” when they embark on their annual fundraising golf scramble or promote their alma mater to high schoolers, primarily because each member remembers the “financial burden” of all the expenses associated with college. In fact, “Almost all of the current board members of our McCracken County UK Alumni Club received a scholarship to attend the university at one time or another. In Dayton, the year’s big fund-raiser is a Derby party raffle. One club member is so devoted to the project, an entire room in her home is dedicated to nothing but storing raffle items. "Supporting students of today is going to be critical to our future," said Dayton's club president Kevin Collins, who also manages the scholarship program. "If a scholarship can make a difference in a student being able to attend UK and possibly becoming the next leader, researcher to come up with a needed cure, or a teacher of the next generation of students, then the money is well spent!"